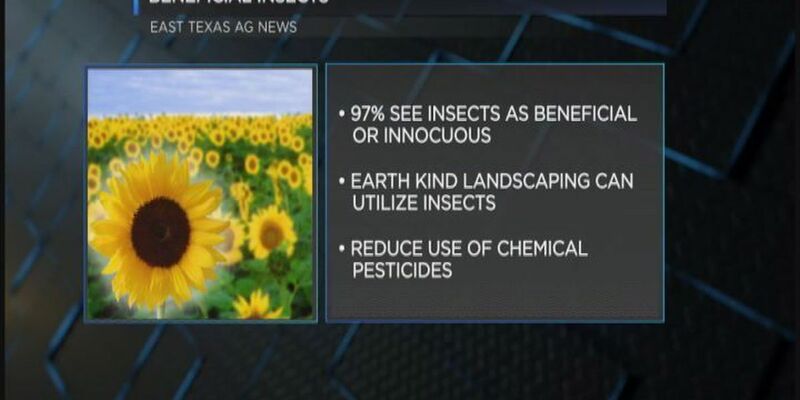 EAST TEXAS (KLTV) - Did you know that 97-percent of the insects most commonly seen in homes and gardens are considered either beneficial or innocuous? Gardeners who learn to put the beneficial insects to work is an important "earth kind" practice that can help reduce the use of chemical pesticides in the environment. The objective of "earth kind" landscaping is to combine the best of organic and traditional gardening and landscaping principles. It creates a horticultural system based on real-world effectiveness and environmental responsibility. Beneficial insects come in a remarkable variety of shapes, sizes and functions. If you look at these insects based on their function, they fall into four different categories -- predators, parasitoids, decomposers or recyclers and pollinators. You can find more information on this program on our website: ETXAgNews.com.